CANBERRA, Australia, July 11, 2011 (ENS) – “The science is clear – our planet is warming. That warming is caused by carbon pollution, by human activity, and we need to cut carbon pollution,” said Prime Minister Julia Gillard on Sunday, announcing Australia’s first price on carbon emissions. The Clean Energy Agreement, a package of measures to limit carbon dioxide and high potency greenhouse gases, was released Sunday by the Multi-Party Climate Change Committee, including the leaders of the governing Labor Party, the Greens and two Independents. 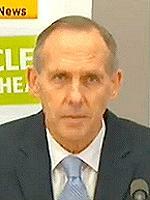 The Liberal and the National parties did not participate in the committee and are opposed to any price on carbon. From July 1, 2012, about 500 big polluters will pay A$23 for every metric tonne of the greenhouse gas carbon dixoide they emit. The carbon price will apply to stationary power plants, most business transport emissions, mining and industrial processes. The price will rise over a three-year, fixed-price period from 2012 to 2015, rising by 2.5 percent for each of the three years. 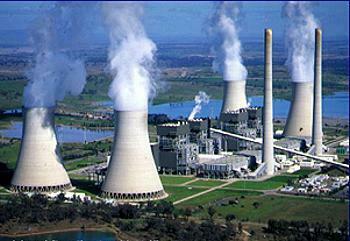 Under the proposed legislation, Australia will move to an emissions trading scheme on July 1, 2015. 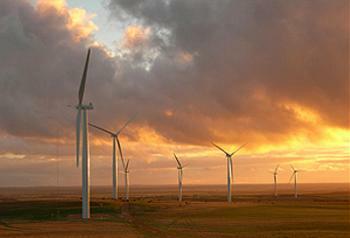 The carbon price will be set by the market and the number of permits issued by the government each year will be capped. “Because something they used to do for free now costs them money, they will innovate, they will change, they will find a way of reducing that bill and in doing so they will reduce their carbon pollution,” said Gillard. She said that putting a price on carbon will drive innovation and investment in clean energy technology, moving production towards less pollution-intensive processes. “All up,” she said, “the carbon price will support A$100 billion worth of investment in renewables in the next 40 years. The government’s number crunchers estimate that by 2020 the carbon price will take 160 million tonnes of CO2 out of the atmosphere every year, the equivalent of taking 45 million cars off the road. High global warming potential synthetic greenhouse gases, mainly used as refrigerants, will be subject to an equivalent carbon price. The agreement establishes a new independent Climate Change Authority to provide advice, make recommendations and conduct reviews. The big polluters “now know how much they will pay unless they cut their pollution. 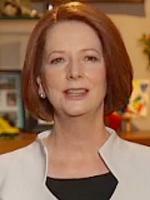 And they can start planning to cut pollution now,” said Gillard in a nationally televised address to the nation Sunday night. Tax cuts will be provided by increasing the tax-free threshold from A$6,000 per year to $18,200 a year. To support jobs and keep Australia competitive internationally, revenue generated by the carbon price will fund billions of dollars of investments in renewable energy. The Clean Energy Agreement establishes a $10 billion fund, the Clean Energy Finance Corporation, to drive investment in the commercialization and deployment of low emissions and renewable technologies. In addition, existing renewable technology support measures worth $3.2 billion will be consolidated into the Australian Renewable Energy Agency, ARENA, to establish a more holistic approach to the government’s support for early stage investments in renewable technologies. ARENA will have access to more than $1.5 billion in unallocated funding. The agreement also assists regional and rural communities through the Land Sector Carbon and Biodiversity Advisory Board and land measures that will support participation in the Carbon Farming Initiative. This initiative establishes a new nationally accredited qualification for carbon brokers, carbon aggregators and other carbon service providers that will provide the basis for establishing standards for the sector. Indigenous communities will receive funding to participate. The government will purchase land sector abatement that is not counted towards Australia’s emissions targets under current accounting rules, such as improvements in soil carbon, revegetation and reduced logging in native forests. Funding will be provided for biodiverse carbon plantings in areas of high conservation value, wildlife corridors, riparian zones and wetlands. The fund will support action to prevent the spread of invasive species across connected landscapes and the management of existing biodiverse carbon stores, including management of land already under conservation covenants, subject to land clearing restrictions and publicly owned native forests. The plan will support the coal and steel industries, manufacturing and other businesses that generate high levels of carbon dioxide but trade internationally and take the world price for what they produce. Still, coal industry executives predicted disaster. 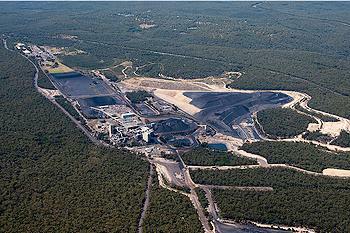 Coal is Australia’s biggest export industry, and contributes 3.5 percent to the nation’s economic growth. 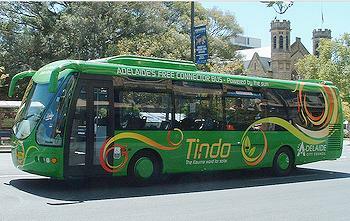 Environmental groups were cautiously supportive of the measures. “Today’s package is so important because it lays the foundation for Australia to finally start seriously acting on climate change,” said Australian Conservation Foundation Executive Director Don Henry. “This package is not perfect, but it is absolutely essential Australia gets started,” said Henry. “We commend the multi-party committee for establishing a $10 billion clean energy finance corporation, as proposed by ACF, to drive large-scale investment in renewables,” he said. Also Sunday, the Gillard Government released a report based on computer modeling that shows Australia’s economy will “grow strongly” while reducing CO2 emissions. Prepared by the Treasury in consultation with other government agencies, the “Strong Growth, Low Pollution” report models the impact on the economy of putting a price on CO2 emissions. The computer models show that incomes and jobs will increase. Average income per person under a carbon price is forecast to rise by about 16 percent by 2020 to be around $9,000 higher in today’s dollars. National employment is projected to increase by 1.6 million jobs by the end of the decade. The report shows that the cost of living impacts of a $23 carbon price are modest, with an overall price increase of 0.7 percent in 2012-13. That compares to a price increase of 2.5 percent as a result of the GST. The price of most goods will increase by less than one half of one percent as the result of a carbon price, less than half a cent in every dollar. Delaying action on climate change will only lead to dramatically higher costs, will undermine Australian competitiveness and will ultimately hit jobs and living standards, the report warns. Without action, Australia’s pollution is forecast to nearly double by 2050. A carbon price will deliver an absolute reduction in emissions and drive the expansion of the renewable energy sector so that it is 18 times larger than its current size.